The first details about the successor to the Nexus 7 have emerged. Yesterday, Google sent invites to a number of magazines for an event on July 24th. The subject of the event was not mentioned. That led some publications to suggest that Google may use it to launch the successor to its Nexus 7 tablet. Google has refused to comment on the subject of the event other than confirming it will be with Android-boss Sundar Pichai. Hours later, the first images of a new Android tablet leaked online. 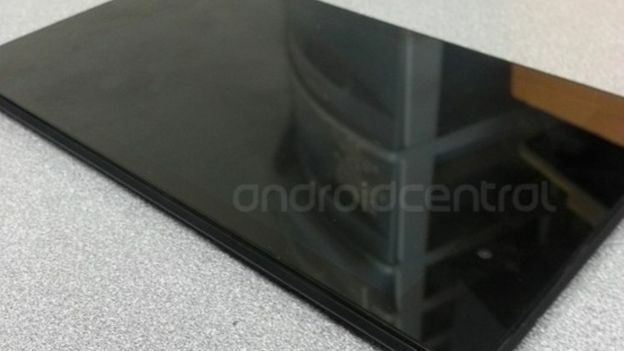 AndroidCentral posted the image, saying it was a prototype of the successor to the Nexus 7. It claimed that the tablet would come in 16GB and 32GB option. Both options will feature a seven-inch display, 1.2 megapixel camera on the font, 1.5 megapixel camera on the back. Internally, it is reported to be powered by a Qualcomm Snapdragon S4 Pro processor and 4GB of DDR3L RAM. However, the site said that the specifications were based off the prototype and the final tablet may only have 2GB of RAM. Following the leaked images and specs, an internal document for US retailer OfficeMax leaked to Engadget shows that it will have stocks of the “new Google Nexus 7” by July 20th. The documents also show that the 32GB version will retail for $269.99 (£178).